Football fans kindly call Gianluigi Buffon Gigi and they are confident that the man is the best goalkeeper of our time. At the beginning of his career, the Italian was not going to keep goal. He just got carried away by games, but eventually realized that he did not like to run a lot. So a talented goalkeeper was born, who became legendary over time. Gianluigi’s life was connected with sports since birth. The family of athletes lived under one roof. Mother Maria Stella Masocco was a discus thrower and Italian champion in discus throwing. His father also made a career as a discus thrower, and two sisters played water polo. Since childhood the boy liked football, and there were football players in the family too. 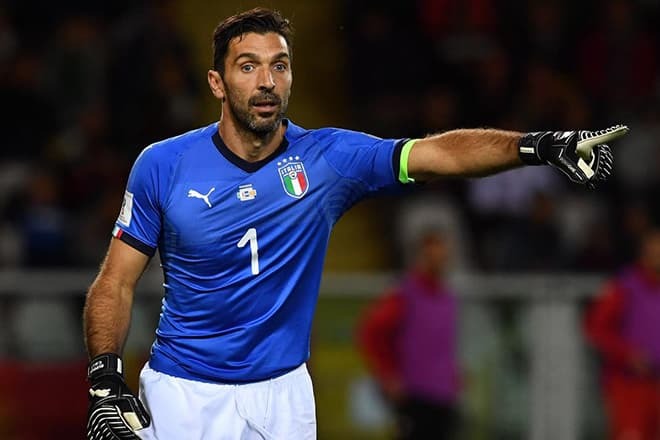 A cousin of the grandfather, Lorenzo Buffon, defended the goal of the Italian national team. Gianluigi spent all the time on matches, supporting the favorite club Genoa. When he grew up, he learned himself the basics of playing with the ball, after becoming a pupil of a football school in the town of La Spezia. Later, he played as a midfielder along with the amateur football players in two clubs in his hometown of Carrara, located in the north of Italy. The talented young man was noticed by the club Parma and he joined it in 1991. There were two more offers from sports clubs, but he refused them. Buffon’s fee was expensive even for Parma as they had to pay a debt for two years. At 14, Gianluigi was already the main goalkeeper of the youth team. A young football player dropped out of high school for the sake of sports. In the future, this gap was resolved by the purchase of diploma in law in the Antonio Manieri Research Center. In 2004, the fraud was disclosed and the famous goalkeeper risked a prison sentence. 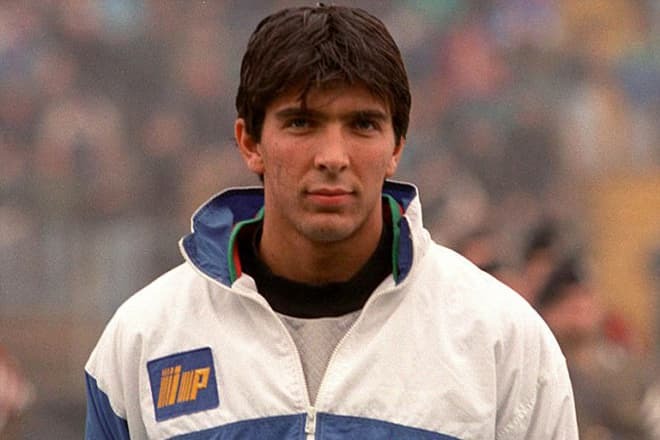 Gianluigi Buffon started his career in sports in 1995. The young man was included in the main team of Parma. Fans and athletes admired the skills of a 17-year-old boy. The beginning goalkeeper showed very impressive and qualitative play. He was compared with the experienced players of European football, and the cost of contracts was growing rapidly. 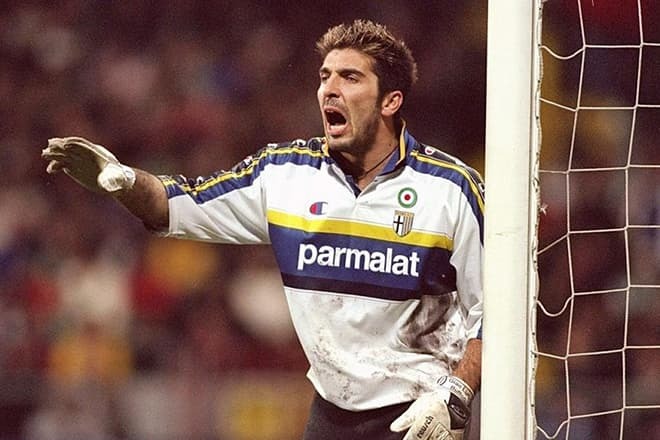 In total, Buffon played 168 games in Parma, including Italian Cup titles, Italian Super Cup titles, one UEFA Cup title. Six years later, in 2001, the goalkeeper joined Juventus. When sports fans found out that € 52 million was spent, they were shocked. So much money was never paid for any ranking midfielder or striker before. The player showed even better results in the new club. Juventus became four-time Italian Champion, and Buffon won the third Super Cup. However, in 2006 a terrible corruption scandal broke out, during which the club was deprived of two championship titles and transferred to the lower league. In addition, Juventus lost a number of top players. Buffon was faithful to the club, although there was a perfect opportunity to join Manchester City. In 2008 the British offered the goalkeeper € 15 million. Such a fee would make the goalkeeper the highest paid player. The scandal affected the goalkeeper too. Gianluigi was accused of betting on matches and the athlete could hardly purge himself of suspicion. In 2012, Buffon helped his native club return to the Champions League again. The goalkeeper managed to set two records for a clean sheet in 2014 and 2016. He spent 745 minutes without conceding a goal. Later, this time was extended with one minute. 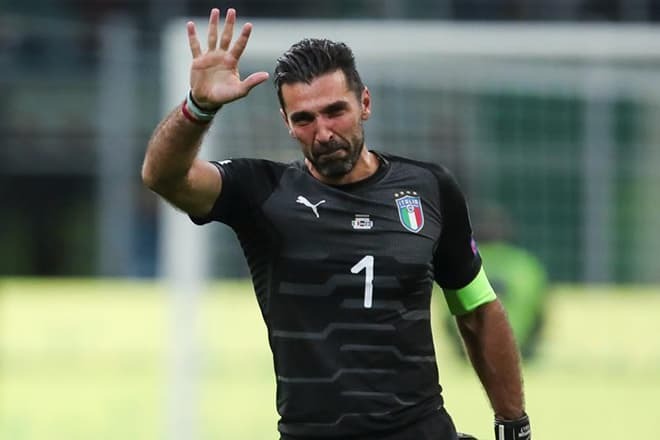 Buffon joined the famous colleagues: Argentine Javier Zanetti, Italian Paolo Maldini and Francesco Totti in the number of games in Serie A. In 2016 he played in the 600th match. Buffon did his best not only in football clubs. The young man first played in the national team in 1997. For the first time, he played with the Russian team for the participation at the World Championships. The game ended in a draw, but the Italians won in the second leg. Gianluigi was the third substitute at the Championship. At the World Cup 2006, the Italian football player won the Champion title, and at the same time got the Yashin Award as the best goalkeeper. However, two years later, the titled goalkeeper, who was the head of the team, failed to defend the goal. Although he showed a wonderful play. The team had to leave the quarterfinals. There was a series of failures. Only at Euro 2012 the team made it to the finals and got bronze medals at the Confederations Cup 2013. Gianluigi Buffon’s career was not without injuries. The goalkeeper had to take a break several times. He could not even go to the European Championship. Gianluigi Buffon is a handsome man with a perfect sports body (his height is 1,91 m, and weight is 92 kg). It's no wonder that the goalkeeper has always had a lot of fans, and there are two known serious love affairs and three children in his biography. Gianluigi dated the Czech professional model, Alena Seredova, for almost four years. In 2006, young people bet that if Buffon won the World Cup, the girl would accept the offer to become his wife. The Italian brought victory and celebrated the wedding. Two sons were born within several years in the family. The parents chose the name of the first son seriously. He was named after Cameroonian goalkeeper Thomas N'Cono, who was the idol of the Italian goalkeeper. In the spring of 2014, the couple filed for divorce. 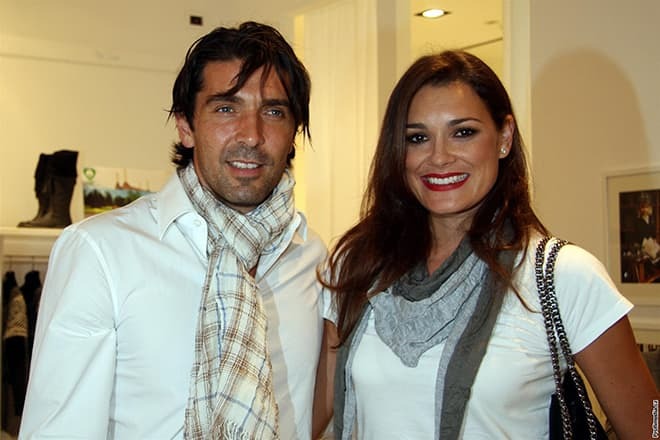 At that time Buffon already dated TV host Ilaria D'Amico. The third son of the football player Leopoldo Mattia was born in this marriage. Gianluigi earns money not only as a player. The man owns a hotel and a swimming pool does business with his parents in the ski tourism industry. Several parking lots, a restaurant and a shop bring income too. He has a rich list of properties: 25 apartments, a villa, and two mansions. Buffon is an active user of social networks, the player has pages on Instagram and Twitter, which are full of photos about sports. The Italian shares photos of his private life very rarely. In 2017, the footballer scared fans when he said about retirement. Gianluigi stated it after his team was not included in the list of participants at the World Cup 2018. But the sportsman has continued to play. In April 2018, a serious scandal broke out during the Champions League game. Juventus lost in the quarterfinals with Real. At the end of the return match, referee Michael Oliver called a penalty to the Italian. Buffon shouted at Oliver during the dispute, and he got a red card for it. 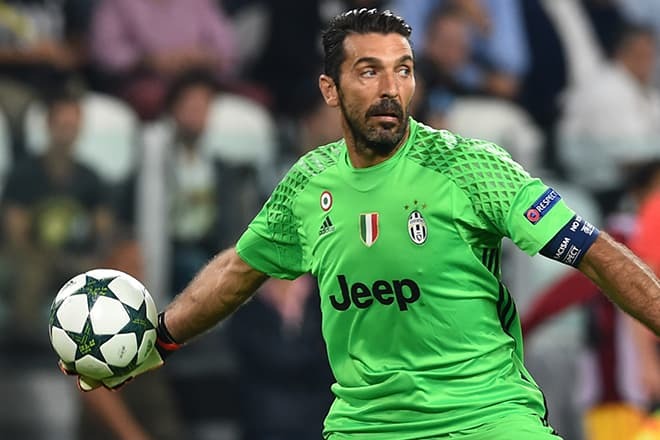 Fans of the football player resented, arguing that it was impossible to remove Gianluigi from the field because this was the last chance to win the Champions League, which was the unattainable dream of the Juventus goalkeeper.